Used pallet racking Columbia area, wire decking, beams, uprights, mezzanines and more! Warehouse Solutions, Inc. is your material handling expert when it comes to warehousing equipment and installations. Columbia, located in the Mid West, has a large number of warehouses and we have worked with many of the companies in the county. If your company is in Columbia and you are in need of any material handling assistance such as buying or selling pallet racking or installing, tearing down or relocating your warehouse, you should speak with us. Pallet Racks: Selective pallet rack, used pallet racks, discount pallet racking, drive in rack, pushback rack, cantilever rack, pallet flow rack, carton flow tracks, rack accessories and other new and used rack equipment. New and Used Beams: C channel, box beams, load beams and more. Industrial Shelving: Rapid Rack, bolt-less shelving (rivet), archive storage and more. Wire Decks: U-channel wire decking, waterfall wire decks, wire mesh decking and a variety of decking for any application. Mezzanines: Any size mezzanine or catwalk system. Conveyor: Gravity or powered conveyor systems. Dock Equipment: Used dock lights with fans, bumpers and more. Modular Offices: these are great for temporary or moveable office space. Forklifts: New and used forklifts for any job. 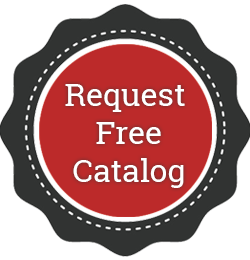 Warehouse Services: Pallet rack installation, warehouse teardown, relocation, and a few free warehouse services as well. If you are in the Columbia area and looking for used pallet racking systems, visit Warehouse Solutions. Illinois, Indiana, Iowa, Kansas, Michigan, Minnesota, Missouri, Nebraska, North Dakota, Ohio, South Dakota and Wisconsin. Top Cities we serve, Chicago, Rockford, Aurora, Naperville, Peoria, Springfield, Joliet, Elgin, Waukegan, Cicero, Indianapolis, Fort Wayne, Evansville, South Bend, Gary, Hammond, Bloomington, Muncie, Anderson, Terre Haute, Kansas City, Saint Louis, Springfield, Independence, Columbia, Saint Joseph, Lee’s Summit, Saint Charles, Saint Peters and Florissant.